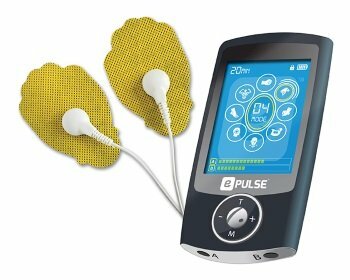 PRO 810 is ePulse's newest ultra-portable TENS electrical muscle stimulator with the latest pulse management technology making the PRO 810 one of the smallest and most powerful TENS devices on the market. Coming in at less than 4.5 ounces and with dimensions of 3" inches long, ePulse PRO 810 is surprisingly tiny. The compact 8000mAh Li-Po battery delivers a maximum of 3.7V and can last over 40 hours fully charged. Six massage therapies are pre-programmed into the PRO 810 including swedish, acupuncture, chopping, gua sha, and lomi lomi. Each therapy can be adjusted for softer or stronger pulses with 20 levels of intensity. For your safety and convenience, an adjustable timer can be set between 10 to 60 minutes in 10 minute intervals. PRO 810 includes dual output support allowing you to set separate therapies for up to four different pads simultaneously. Not only does PRO 810 offer TENS therapies, but also includes EMS (electrical muscle stimulation) or electrical myostimuation which sends electrical pulses to the muscles and mimics the signals sent from the brain when muscles contract. This type of therapy improves blood flow by expanding capillary function and helps improve overall muscle performance. For people that are recovering from a surgery and are suffering from atrophy, this device can help improve muscle function and help you recover faster. 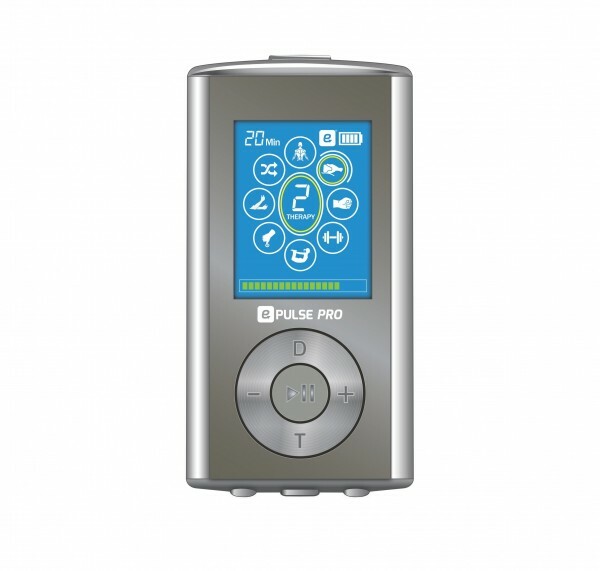 Included with the PRO 810: ePulse PRO *10 handheld TENS device, 2 small gel electrode pads, 2 large gel electrode pads, pad holder, 2 electrode connector wires, USB/AC charger, and user manual.